Privacy is a thing that beloved to every human being . In the matter of using computer/laptop , there are many things that you don’t want to reveal to others . It might be a folder , text file , video or audio file and the most important thing is that your bank account details , credit card numbers , email address , usernames and passwords etc. Even it would not be wrong to say that every computer/laptop user have a portion on his/her computer/laptop where nobody would want that any other person get in this private portion . IObit Protected Folder to share with my respectable readers . Though Microsoft Windows has an option to do so named folder option . It is free but not enough actually Folder option merely can hide your desired file or folder and any one which has basic computing information that can get access to your computer/laptop , can easily unhide your files or folders using folder option , only your administrator password can protect your desired file or folder . But IObit Protected Folder is a trusted folder locker software that can protect your private files or folder effectively . It has an easy to use drag and drop interface and you can set a strong password on your desired file or folder and nobody can open or steal your important and private data without entering correct password . You just need to drag and drop your desired folder into Protected Folder’s safety box and you can hide and protect them from being viewed or modified . IObit Protected Folder is supported to all Microsoft Windows version , Windows 2000 , XP , Vista , 7 and Windows 8 . 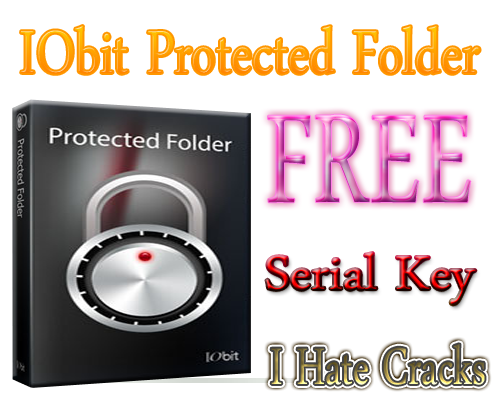 IObit Protected Folder is not a freeware folder locker software it is a paid software and you will have to spent $19.95 per serial key to use it . But fortunately you can grab it with legal serial for free for next a few days .